Kindle Scout is a crowdsourced platform where authors post their books in a bid to get published by Amazon. Readers vote on the books that resonate with them and can directly talk to the author. Since 2014 Scout has been responsible for the publication of over 200 books and they have all received an advance of $1,500 and a 50% eBook royalty rate. 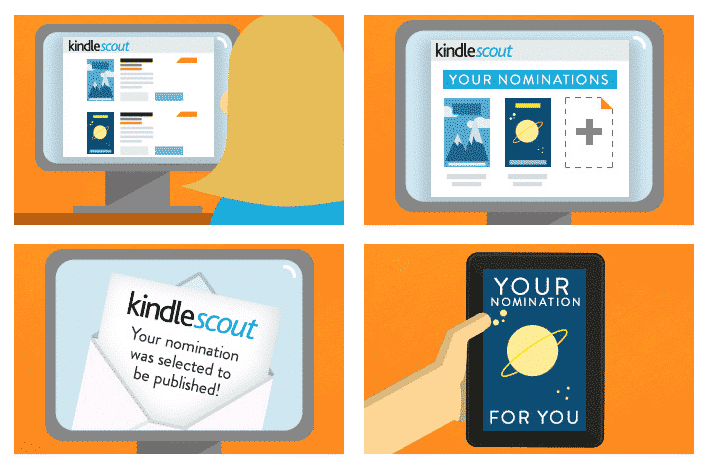 Amazon has just confirmed with Good e-Reader that the Scout platform will no longer receive submissions starting April 3rd and once the current campaigns end their voting period, you will have until May 31st to log into your Kindle Scout profile, redeem free copies, and save any info you may want. Kindle Scout winners often saw an uptick in sales, thanks to the marketing efforts done by Amazon. This was tremendously useful for new writers who do not know how to market their own book effectively. Amazon routinely rotates titles through a number of their own promotional emails. In the past they have run a 99-cent promotion, featuring a bunch of Kindle Scout “Reader Favorites.” And of course, their recommendation engine will suggest your book to folks who have purchased similar books in the past. Titles are automatically enrolled in the Kindle Lending Library and Kindle Unlimited. It’s important to note that Kindle Press controls the price of your ebook title at all times. The Scout closure has not really been surprising. When the service first exited beta in 2014, there was a single press release. The company did not give status updates on the success of the platform or how many sales have been recorded. I mean, most authors were not even aware that Scout even existed, no surprise it is being sunsetted. I was a big fan of Scout and thought it solved a huge problem in the publishing world, the dirge of indie author titles. Every week, thousands of horrendous books are released that pollute the digital ecosystem and hinder the eBook discovery process. In all honesty, indie authors are destroying literature as we know it. Scout did a good job of vetting out the wheat from the chaff, because you needed a good editor and solid cover art to even stand a chance in winning.